President Emmerson Mnangagwa has made a name for himself as a lover of expensive jets which he uses to travel within and outside the country. In January he hired an expensive jet on a round trip to EuroAsia. That was just a few months after he hired an expensive jet for the former First Lady Grace Mugabe from Singapore. On Thursday he was reported to have flown to Bulawayo in a private jet to hired from Durban. 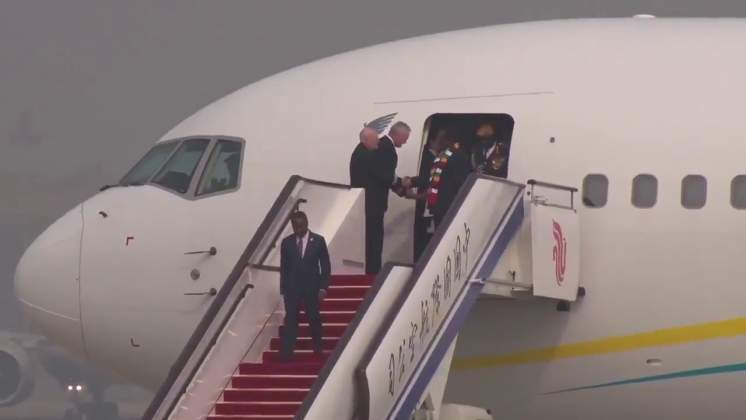 Political analysts say the widely condemned expensive hiring of jets is a business deal that is being run to benefit an elite ruling clique fronted by Mary Chiwenga. South African based analyst Fortune Mlalazi said, "The country is run by a mafia that is treating it as a milk cow. You will recall that in 2018 there were reports that Vice President (Constantino) Chiwenga's wife was given a tender to offer travel services to the Office of the President and Cabinet. "So all these expensive trips to EuroAsia and the useless trip to UAE last week including the hiring of a Durban jet to Bulawayo are meant to transfer money from the government coffers to the pockets of Mary Chiwenga and her circle of friends." In 2018 the Deputy Chief Secretary Ray Ndhlukula admitted that he irregularly awarded a contract to provide travel arrangements for the Office of the President and Cabinet without going to tender. The contract was awarded to Mary Chiwenga's company East Town Holdings, despite the fact that it had not submitted most of the required documents such as tax clearances. Posting on Twitter on Thursday seasoned journalist Mduduzi Mathuthu said, "You have an incestuous business thing going on at the top of government for VIP travel where Mary Chiwenga is the travel agent. She likes it when they travel and will hire the furthest available plane because she makes more money from it. It's crazy it's almost evil."